Leading up to the event we, of course, are utilizing social media to promote it. Today (Tuesday, 9/11), I will be on Jim’s blog radio show, The Jim Bouchard Show (go figure), talking about some social media best practices. Dr. John Tantillo will be on to talk about branding as well. It should be pretty fun. And you can listen to use while you eat your lunch. Multitasking at its best. I was going to blog a bit about social media marketing here, but I read Jim’s blog post yesterday and decided to share his with you instead. It’s a good post that addresses a lot of what I tell my clients on a regular basis. The following article is cross-posted from the Think Like a Black Belt blog, written by Jim Bouchard. The original post can be found here. What the hell does Black Belt Mindset have to do with social media marketing? I make my living sharing an idea. This idea is how to THINK Like a BLACK BELT. The revenue I earn comes from speaking, consulting, coaching, selling books and other products and promoting events both live and online. You have a set of talents, skills, abilities and ideas. You make a living by trading those commodities with those who see value in what you do. And you’ve got to find those people! Social media marketing is the most economical, effective and egalitarian means of promotion ever invented. The internet gives each of us an equal shot at sharing our talents and abilities with the world- if we do it right. Discipline: I start with discipline because you’ve got to dedicate yourself to studying and practicing good social media technique. To be truly effective you’ve got to study how successful marketers are operating. You’ve got to maintain a consistent presence and you’ve got to maintain discipline with your brand. You’ve also got to be disciplined to avoid the pitfalls of destructive social media temptations. One is wasting time; it’s easy to get sucked into the vortex of games and trivial streams of useless gossip and cyber-venting. Dedicate time on a regular basis to your blogging, media content and participating in discussions and groups related to your promotional efforts. You also must be extremely disciplined in your social media content. If you’re looking for a job or seriously promoting a brand, you don’t want Facebook pictures of spring break debauchery making the rounds. I value a thousand highly engaged people much more than a million disinterested followers purchased through any list builder. Social media marketing gives you access to the world, but it’s much more effective when you focus and treat it as niche oriented narrow-casting rather than scattergun broadcasting. Perseverance: I can’t tell you how many times I talk with someone who gives up on social media promotion because they don’t see instant results. While there are a few lottery winners in the online promotion sweepstakes, most of us need time to develop a clear message and consistent brand. It takes time to learn the craft of writing and producing for social media. It takes time to develop a loyal, engaged audience. It takes time to produce sustainable and profitable results. Hang in there! I hate to use the cliche, but social media marketing does literally level the playing field. Social media gives each of us equal access to the entire global marketplace. It gives each of the ability to connect directly with people who are interested in what we’re trying to promote. And for the time being- on the internet a great idea, product or service still trumps any huge promotion budget. 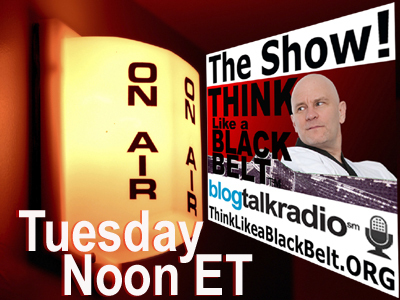 Join us live at noon ET on BlogTalk Radio! Log in and join our exclusive chat room to ask questions and join the conversation! UPDATE: If you missed the podcast, you can still listen to it here. Thanks for sharing, Jennifer. Social Media, and how to use it effectively, is something that I keep in the back of my mind as I venture into “self-employmenthood. Have fun today! Michelle recently posted..NYC Century Bike Tour – 35 Miles of "Watch out!" Thanks, Michelle. Jim is right on needing discipline, focus and perseverance. Too many people don’t give themselves a chance to get established. You’re already laying the groundwork with your blog, which is great! Thank you for letting us know, I have just submitted my registration and will be there! See you soon! Awesome, Linda! So glad you can come.